The Dark Side of the Moon - Essays and Articles by Jim Freeman: Is It Really the Business of Business to Destroy Ourselves? 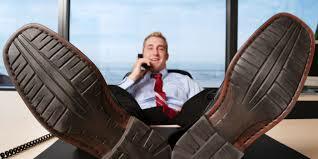 Is It Really the Business of Business to Destroy Ourselves? I suppose that, depending upon where you see the glass, this is just another of these half-full or half-empty conversations. Perhaps the title deserves a question-mark. Pessimists (and I am very close to being one) will argue that Wal-Mart, Amazon and their like have grabbed an outsized slice of the American Pie. There are markers for this for anyone over the age of sixty and that leaves out 80% of you. Historic memory is a short-lived thing. The first is the Eisenhower-inspired interstate highway program, begun in 1956 and completed ten years later. The second is the eight years of the Reagan presidency, from 1980 to 1988. Eisenhower connected America and that was a great thing, but it had side-effects. Doesn’t everything. My favorite term is unintended consequences. Car ownership took off like a scalded cat, which was great for Detroit but didn’t keep car-town from folding a couple decades later. Additional side-effects were the McDonaldizing of every interstate turnoff and the all but total destruction of mom-and-pop restaurants in nearby towns. 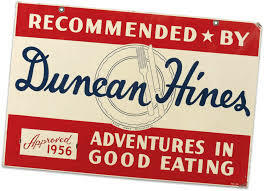 Again, you’d have to be old as I am to remember a book called Good Eating by Duncan Hines. It was in every travelers glove-compartment, rating (by actually having eaten there) every good home-cooked restaurant in all the routes that had been displaced by the interstates. Gone now. Simply gone, both the restaurants and Duncan Hines. The second marker arrived in 1980, along with the Reagan administration and boy, was it quick. 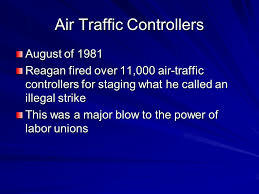 Hardly waiting to find the light-switches in the Oval Office, he settled a nationwide airport flight-controller’s strike by doing away with their union. Union-busting, once a federal crime, was now being practiced by a federal agency. On Reagan’s part, this was a very expected consequence and since then union membership has declined by nearly 80%. With no collective-bargaining rights, 58% of Americans now work at whatever an employer will offer. I might remind you that the federal minimum wage still stands at $7.25 an hour. $14,500 annually for what once fed, clothed, educated and supported a single-worker American family. One can but wonder if that’s in any way connected to over a trillion dollars out there in personal college loans, credit-card debt and auto loans. Not a collective trillion. A trillion dollars each. One thing ‘hourly’ and ‘contract’ workers have in common is that businesses are no longer compelled to provide profit-sharing, paid vacations, healthcare or pension plans. You can buy a cheap watch or a box-spring mattress at Amazon or Wal-Mart, but the salespersons, warehouse workers and delivery people have all been denied those benefits. We claim not to have class distinctions in America, the land of the free and the brave, but we sure do have wage-warfare. Pitchforks and barricades cannot be all that far off. The top ten-percenters live in gated communities, commuting and sending their kids to school with bodyguards. That’s neither sustainable nor a healthy lifestyle. Now if you read what I write (and not all that many do), you’ll know that I’ve written about these issues before. A common theme these days is we can’t go back to the good old days. Well, we surely can’t go back technologically, who would want to live without personal computers, the internet, cell-phones and Facebook (okay, maybe Facebook is a stretch)? But Wal-Mart and Amazon are cutting their own throats with minimum wages and zero-hour contracts. If they raised wages to fifteen bucks an hour or even (gulp) unionized their workers, what might the results be? Their worker are an enormous source of consumers who are unable to consume. Henry Ford stunned the world in 1914, when he doubled worker salaries and Henry wasn’t a very generous guy. He immediately had the best auto workers banging on his doors (increasing production) and a whole generation of workers could now afford his cars (increasing sales). In the retail world of Amazon and Wal-Mart, their workers are starved for everything from a new toaster to replacing worn out carpets. They are a pent-up market, just waiting to buy stuff. Who sells stuff? 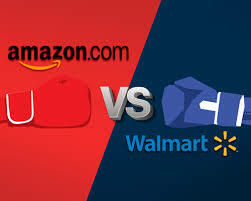 Amazon and Wal-Mart. Who needs stuff? Between them, they have two and a half million workers who need stuff. They could shutter their high-cost marketing departments and pay at least some attention to their employees. A worker doesn’t stand alone. They have families, friends, acquaintances and others who need stuff as well and so the pot just gets larger and larger. Of course that goes way beyond Wal-Mart and Amazon, they’re just examples. Back to the auto industry, Detroit hardly exists anymore as an entity. Chrysler fled to its last bidder, Fiat of Italy. Oldsmobile is gone, along with Plymouth, Desoto, Pontiac, Studebaker, Packard and Hudson. Ford, largely by doing the impossible nearly a hundred years ago, is still there and profitable. Industrial agriculture has all but destroyed farmers, cheaper labor in China means we no longer make refrigerators, toasters, TVs, computers, shoes, clothing, heavy-machinery and god-knows what else. Simply ponder that and you’ll come up with a thousand other examples. Those who say we can’t go back are suffering from a poverty of imagination. We can go back to the quality of goods and invention that made us leaders of the world if we raise the earning power of Americans to what they once were. We can afford an extra 15 cents for a head of lettuce and an extra hundred bucks for a TV if we choose to abandon this mad race to the bottom. There was a life before Reagan in America and Thatcher in Britain. It’s there for the asking. Denied, it will eventually be there again, but we won’t ask this time, we’ll be in the streets. I’m with Reich on that one.